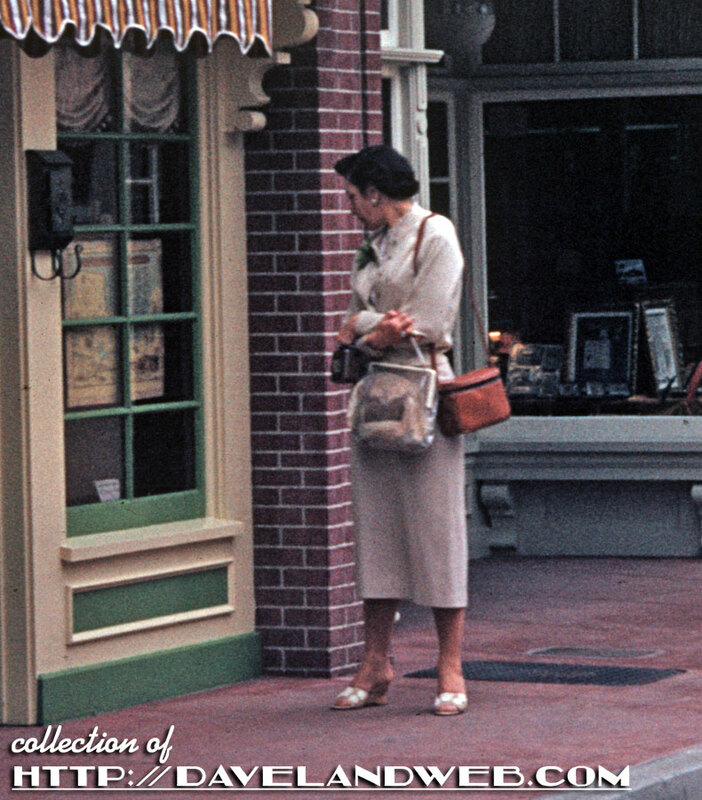 Two more vintage gems from Disneyland show East Center Street. 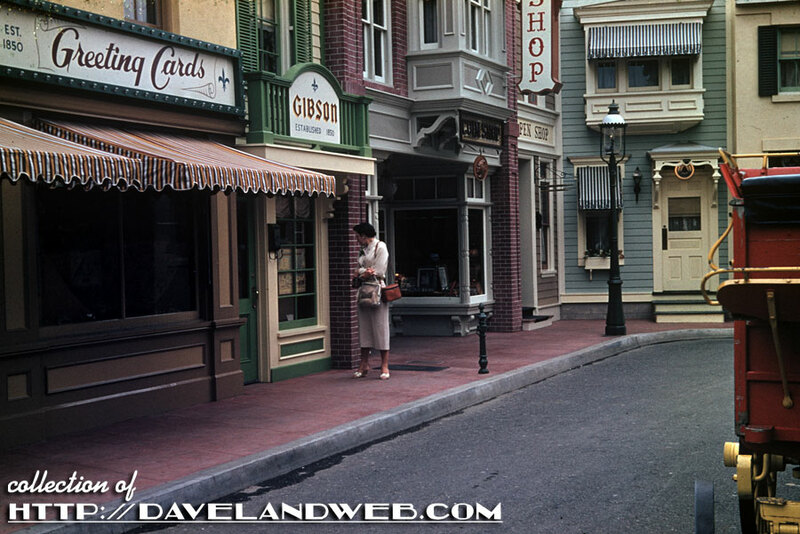 In this February 1958 shot, a well-dressed guest is looking in the window of Gibson Greeting Cards. 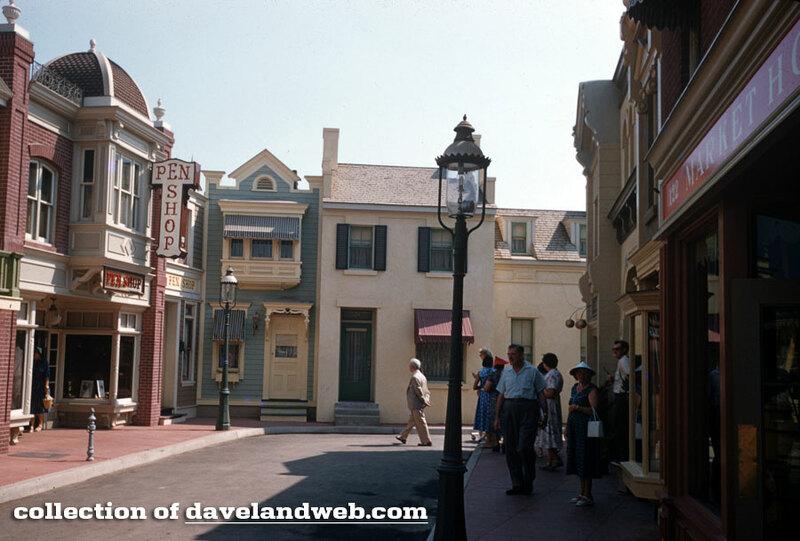 This undated shot is most likely from the same period, giving us more of a view to the right. 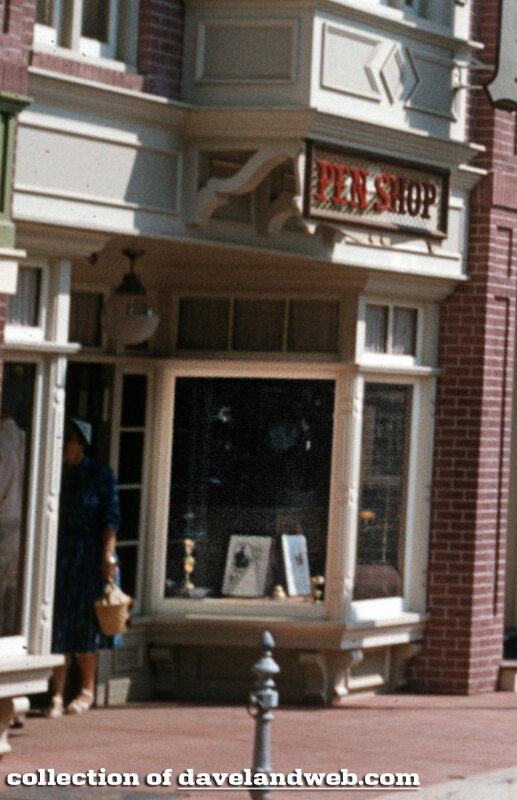 Care to visit the Pen Shop? In the second photo you can see the Starbuck's! Chicken of the Sea Black and White EXTRAVAGANZA!